Halloween is around the corner, but some comic fans dress up in costume year-round. And all manner of characters came out for the first annual Vermont Comic Con in Burlington this weekend. Folks dressed in elaborate costumes ranging from obscure comic characters to fairytale favorites. For some, it’s a chance to be a hero – or a villain – for a day. Curtis Swafford won the “novice” category in the costume contest. 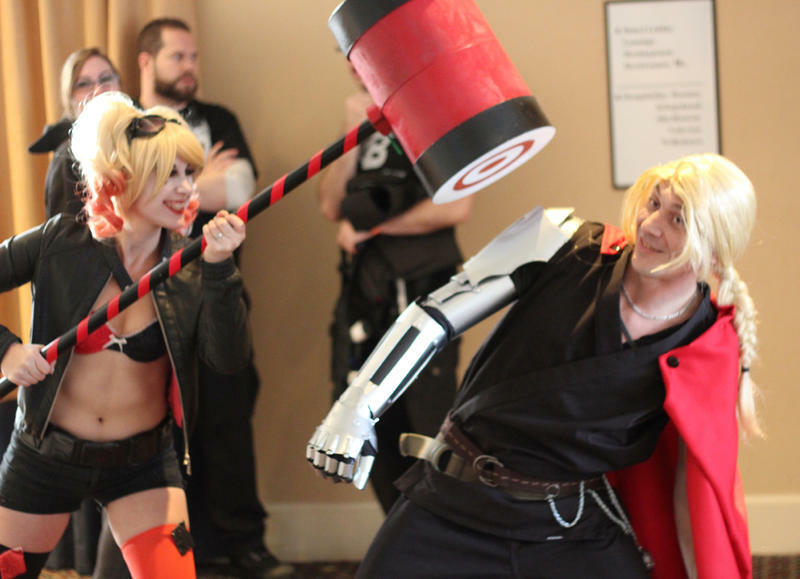 He dressed as Edward Elric from “Fullmetal Alchemist,” a Japanese manga series. Listen to the article and look at a slideshow here. This entry was tagged burlington, Vermont Comic Con. Bookmark the permalink.